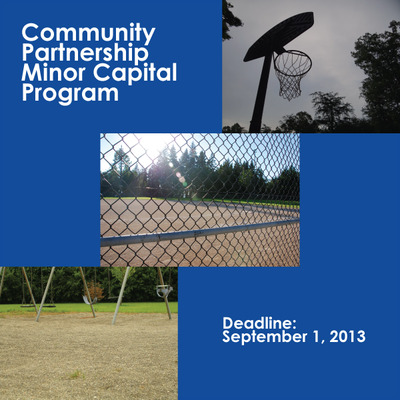 The City of Ottawa Community Partnership Major Capital Program is an initiative to implement major capital improvements and additions to facilities related to parks and recreation on a cost-sharing basis between the City and community groups. The project may relate to an asset that is owned by the City, or operated by a community partner who delivers service on behalf of the City or assists the City in the delivery of programs and services. The funding program applies to major capital programs for new facilities, renovations and expansions. It will only apply to fixed assets. It will not fund other components such as furniture, equipment, feasibility or fundraising studies. For more information, visit ottawa.ca/funding. Deadline: March 1, 2014.
minor community facility improvements, etc. Projects on school board land and other public lands that are accessible to the general public may also be eligible. Deadline: September 1, 2013. If you'd like to get more information about how to obtain funding through this program, please visit the City of Ottawa's website. 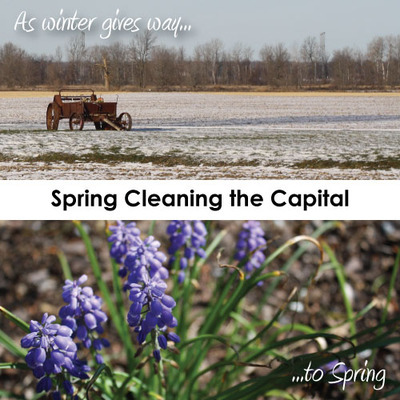 It’s time to check out the thousands of classes the City of Ottawa has to offer in the 2013 Spring-Summer Recreation eGuides. Both the Recreation eGuide and Mon cyberguide francophone des loisirs are now online at ottawa.ca. Registration for swimming and aquafitness classes begins online and by touchtone phone (613-580-2588) Monday, March 4 at 10 p.m. and in person at City recreation facilities Tuesday, March 5 during regular business hours. Registration for all other classes including summer camps begins online and by touchtone phone Wednesday, March 6 at 10 p.m. and in person at City recreation facilities Thursday, March 7during regular business hours. High volumes of online registrants are expected throughout the first week of registration, particularly the first evening, which could result in a longer registration experience than usual. Ottawa residents are encouraged to review the list of classes and summer camps and registration procedures now to ensure they are ready to enrol in their favourite classes in a timely manner. Anyone registering will need a client barcode and a family PIN (Personal Identification Number). If you are applying for an Annual Agricultural Burn Permit, you must provide a copy of your Farm Business Registration Number at the time of application. If you are not the owner of the property, you must provide written authorization from the landowner giving you permission to apply for a permit for that location. This permit will allow you to burn windrows fires overnight from Monday to Friday. These types of fires are usually left to burn for days at a time due to their size (i.e. 50 metres in length, 5 metres in width and 3 metres in height) and require supervision at all times. Find out more about open air fire permits. Community groups interested in receiving intervenor funding to provide technical expertise to assist with the peer review of the Environmental Assessment process for the Capital Region Resource Recovery Centre, are requested to submit proposals to the City of Ottawa. A copy of the Application Form can be obtained by contacting Grace.O’Keefe@ottawa.ca or at (613) 580-2424 ext 13147. The Ministry of the Environment has approved Terms of Reference for Taggart Miller to undertake an Environmental Assessment for the construction of a Resource Recovery Centre which includes both a waste diversion facility and a landfill. The location of a site for this centre will be determined through the Environmental Assessment process. In order to assist community groups to participate in the peer review of the Environmental Assessment, Ottawa City Council has allocated a maximum of $50,000 in total for interested organizations to obtain technical expertise on the issue. A detailed list of technical experts (engineers, geologists, lawyers, surface water experts, etc.) and estimated costs the group plans to hire with the funds. The program offers assistance to qualified groups for the development of resident-driven improvement projects aimed at addressing identified short-comings in the community or enhancing the community experience. The program is part needs assessment and part project implementation. Selected neighbourhoods will work with City staff to identify opportunities, and to plan and implement projects chosen by the community. The City is pleased to host a one-day mobile Household Hazardous Waste Depot on Saturday, September 22, 2012 from 9 a.m. to 4 p.m. at the Waste Management landfill at 254 Westbrook Road. The City of Ottawa is currently in the process of developing an Older Adult Plan with the goal of effectively serving and being responsive to the needs of older adults now and in the future. Residents are invited to attend the City of Ottawa Planning Summit and join in the discussion of the challenges we face in shaping the future of Ottawa. Mayor Jim Watson will lead off the discussion and participate in an Open Forum with Planning Committee Chair Councillor Peter Hume.